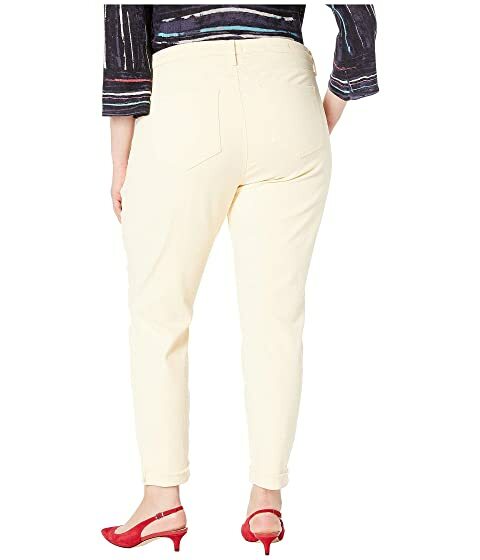 Make any look a memorable one with the chic and versatile NYDJ® Plus Size Ami Skinny Ankle w/ Cuff in Marigold. 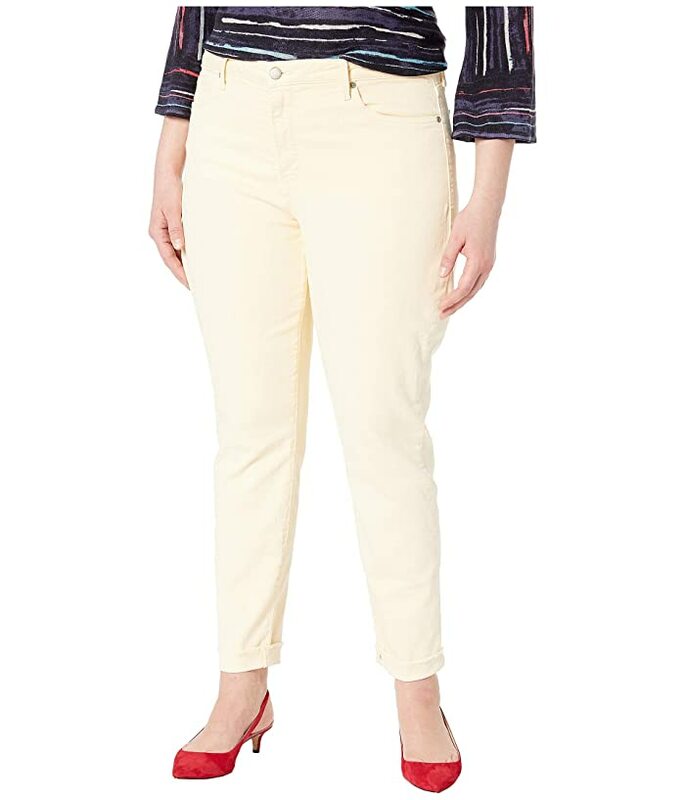 Five-pocket jean has a higher rise and skinny leg that hits at the ankle. A cuffed hem with stylish frayed trim. Marigold offers a pastel yellow wash on a stretch cotton-blend fabrication. Product measurements were taken using size 14W, inseam 27. Please note that measurements may vary by size.